Club Penguin Cheats by Mimo777 Club Penguin Cheats by Mimo777: Reviewed By You: Prehistoric Party! 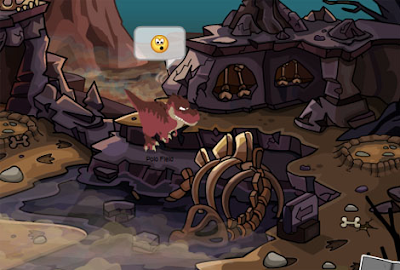 How's everyone liking the new Club Penguin Prehistoric Party so far!? I hope everyone is having fun! Last week, Cp wanted to know which time you’d travel back to if you could take the Time Trekker anywhere. "What's your favorite part? Hunting for dino eggs? The room art? Special dino moves?" Leave 'em a comment to share what you're digging most! They’ll pick a comment to feature in the next Reviewed By You. And don’t forget, the featured penguin gets 10,000 coins! Cool beans! I'm mostly digging a red t rex egg. Lol!